In my town, spring and summer are a busy time for local events. Walk into any business, check your inbox, or log onto Facebook and you’ll see posters, invitations, and notices about upcoming activities. The other day, I received an invitation to one of my favorite local restaurants, which hosts monthly wine dinners throughout the spring and summer months. At these events, attendees have the chance to try new menu items, sample wine, and gain some valuable information in the process. One of my girlfriend’s favorite businesses — a local yoga studio — hosts yoga retreats, and even offers special classes on the beach! One of the things that both of these businesses do well, is offering attendees the chance to sign up for their events in advance. I’m admittedly not the most organized person. Being able to sign up and receive reminders prior to the event, helps make sure I never miss a chance to attend. It also provides benefits to the business, because they can stay organized and make sure they are prepared for the event. This is just one part of what makes their events so successful. To help you plan, promote, and run more successful events, we compiled a list of 50 helpful resources. Whether you’re planning your first small business event, or are looking to get more from your upcoming events — this list can help. We’ve organized these resources into categories to help you quickly find the information you need to succeed. Making your event a success, starts with coming up with the right plan. You don’t want to commit to hosting an event, until you understand all of the things that need to be done to make it successful. 1. Are You Ready for Event Season? 5. Things You Don’t Want to “Overlook” When Planning Your Next Event! To create a successful event campaign, you need to come up with a strategy that incorporates your different marketing channels — like email, social media, mobile and web. 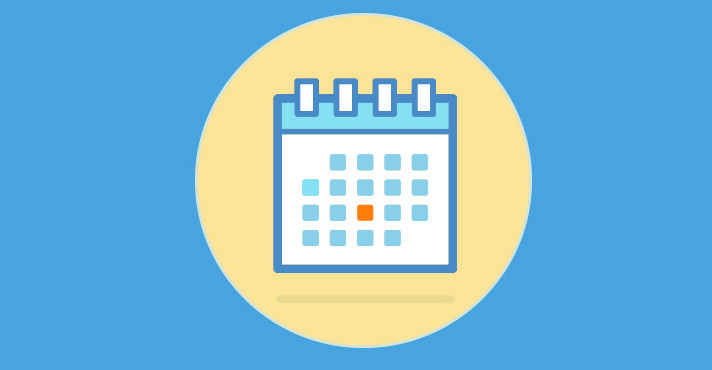 For a lot of small businesses, event promotion will start with email, which you can use to send invitations, save the dates, reminders, and event follow-ups. But you’ll also want to level your different social channels, to generate buzz and get people talking about your event. Then, there are things like online event directories which will help you reach potential attendees with very little work. Online event registration tools have really changed the way small businesses think about running events. While in the past, running an event meant spending hours keeping track of phone calls and managing a guest list by hand — today, you have the ability to manage all of your information in one place. 25. Are You Offering a Memorable Experience Before, During, and After Your Event? When you’re doing everything right to get people to your event, the last thing you want is for something to go wrong at your event to damage the experience. While unexpected setbacks are bound to occur, there‘s no reason for easy-to-avoid problems to stand in the way of making your event a success. 29. How You “Sound” Can Make or Break Your Event! 33. How Green Should You Make Your Event? You did it! You planned the most successful event of the season; you promoted it effectively, filled the room, and delivered a memorable event experience. Guess what? You’re job isn’t done yet. Now, you need to follow up with attendees to see how things went. For some events, you might want to collect feedback with an online survey. For other events, your follow-up may be as simple as sharing photos on social media, or creating new content about the event experience. 40. Pardon My Eavesdropp​ing, But Are You Enjoying My Event? 41. Event Feedback: the Good, the Bad, and the Ugly — It’s All Critical to Your Success! Now that you have the resources you need to make your event a success, you can gain inspiration from other business owners who have used events to grow their business. 49. Manage Your Event Like a Pro — It’s All About the Details! Find out how Constant Contact can help you manage your events, and run campaigns to help you reach new customers and do more business.